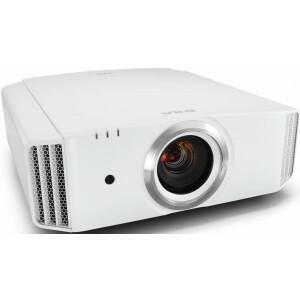 THX Projector achieving realistic 3D/4K images through high brightness, E-Shift5 Technology and ultimate dynamic range. Black model also available. Earn 5495 loyalty points when you order this item. 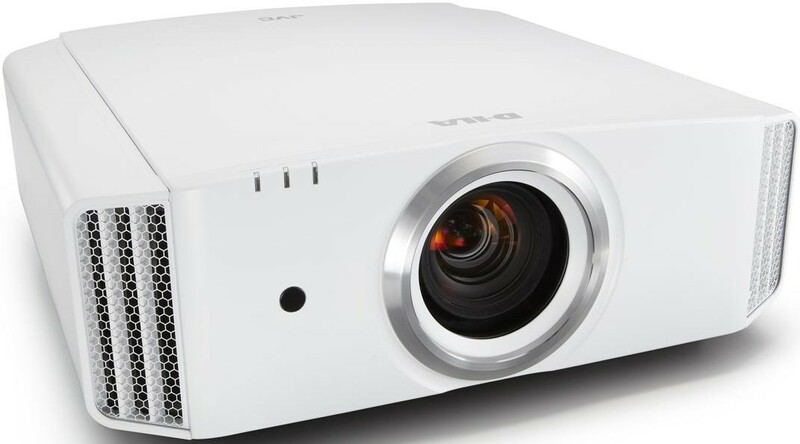 JVC DLA-X7900 3D THX certified projector features proprietary D-ILA and 4K e-Shift5 technology. It is capable of exceptional 1900lm brightness and an ultimate dynamic contrast ratio of 1,300,000:1 which enables use in rooms or environments where it’s hard to block out the light. X7900 benefits from Clear Motion Drive moving image interpolation technology which is compatible with 4K60P signals. Motion Enhance technology is also available which defines the performance by image characteristics. These technologies combined gives the projector the ability to prevent ghosting or afterimage problems commonly found in fast-paced images to replicate crisp and smooth moving images. With a low-latency mode, D-ILA projectors are perfect for PC and video game playing, since they require and receive fast response times. High-bandwidth signals are received without compression for high video quality regardless of source. The DLA-X7900 is a true THX projector, it is fully certified with THX 3D Display accreditation, which proves this projector will precisely reproduce images in a home theatre setting for either 2D or 3D viewing. It has been rigorously tested to guarantee the stunning colour accuracy, viewing angles, cross-talk and video processing. You are able to tweak and save separate lens adjustments for zoom, shift and focus for cinema-like performance and easily recall these settings on demand with 9 programmable pre-sets. The 2.35:1 projection screen lets you convert 1.78:1 black border pictures to a complete cinemascope. Equipped with Hybrid Log-Gamma standard, the X7900 provides a huge image quality enhancement adding a level of realism sure to further immerse you in TV broadcasts and enable enjoyment unlike ever before. Now in its 6th generation, D-ILA has evolved with an even tighter gap between pixels accomplishing livelier images rich with contrast. X7900 is augmented to accompany ultra-high 4K resolution for precision image expression with near zero screen-door effect. Input signals are evaluated with a unique algorithm alongside Intelligent Lens Aperture, mechanically controlling blacks of the image. The synergetic effect of the ultimate dynamic range derived from high brightness transports dramatic 4K video full of authenticity. 1,300,000:1 UDC and 130,000:1 NDC are achieved via great efficiency optical engine and the 265W high-output NSH lamp which reach a brightness of 1,900 lumens. 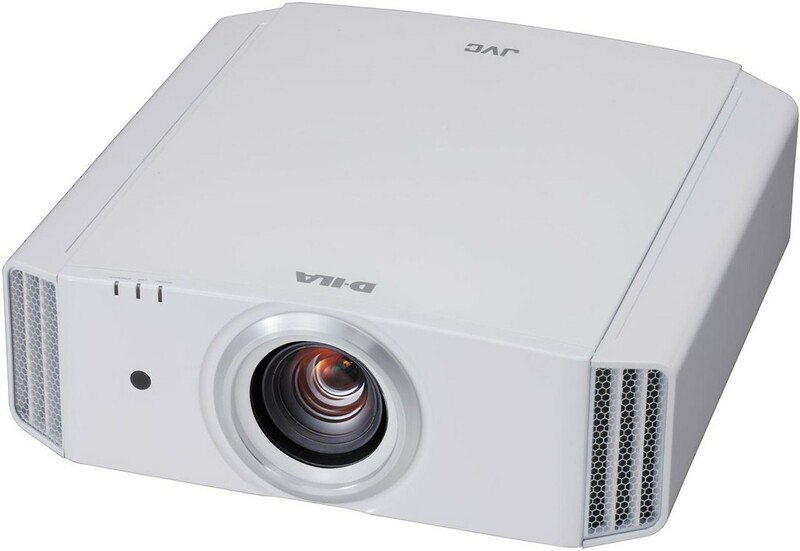 Sometimes it can be difficult to view 4K images in illuminated environments, when it is difficult to sufficiently block out light, with this projector it is not an issue, the 4K high definition images are presented vividly, powerfully and in high detail even in the poor viewing environments. 4K Projection is realised via optical engine containing e-shift5 Technology with Multiple Pixel Control image processor. JVC’s e-shift, which alters sub-frames by 0.5 pixels vertically and horizontally to attain 4 times the pixel mass of the original data, has progressed to meet the budding mandate for 4K. E-shift5 now utilises entirely fresh algorithms to grasp a vivid lift in transverse detection accuracy thus reaching even greater definition and upgraded picture class. X7900 fulfils the latest HDMI and HDCP 2.2 criterion to allow full spec 4K signals up to 4K60P. HDR permits easy imitation, the projector shifts spontaneously to HDR mode on receiving HDR10 signals. For OTT videos and UHD Blu-rays, X7900 complies with the latest HDMI and HDCP 2.2 spec. Pixel Adjust allows users to precisely correct colour deviation in 1/16-pixel increments. The screen is split into 121 points which are adjusted separately for clearer video free from colour deviation. Two settings can be stored in the memory. The best mode for your screen is chosen to produce images with natural colour balance. The modes are compatible with the latest models offered by the world’s major screen manufacturers. X7900 uses original high-performance image processing technology, Multiple Pixel Control. By employing an analysis algorithm, JVC has managed to improve the MPC image processor so it can accurately identify between frame diagonal-detection for 4K and HD, which delivers a highly immersive high definition image. By employing an optical sensor, precision calibration is a very easy process, to match the changes in optical characteristics as a consequence of using a different projector. 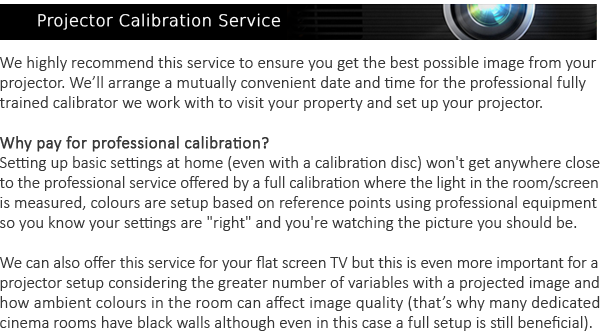 Auto-Calibration boosts all critical aspects in the image including colour balance, space and tracking alongside gamma characteristics.